With the release of Fire Emblem Awakening, the Fire Emblem series achieved record sales and is considered one of the must-play games in the Nintendo 3DS library. But most importantly, Awakening marked the series finally breaking out of its niche status and attaining awareness among the mainstream 3DS audience. This was not a fluke but the culmination of a series with a tradition of excellence, combining impactful story-telling and characterization with rock-solid gameplay. Let's take a look at what makes Fire Emblem such a special series of games. Described by some as "chess on crack" the core gameplay of Fire Emblem has changed little over the course of the series but remains so incredibly playable. Taking control of an army of unique characters, players navigate units over a grid-based battlefield, attacking enemies and completing objectives. These characters become stronger by gaining experience and raising their level, each belonging to a class of units which have different attributes and abilities. This is complimented by the "weapon triangle" which adds a further tactical layer to battles, ensuring players must choose which units and what weapons to use in a given situation. The attributes of each character are divided up into a number of statistical categories determining everything from how strong a character is to how lucky they are. It's undeniably addictive managing the stat increases of characters and watching as they grow stronger with each successive battle giving players a real sense of accomplishment while using tactics to progress through the game. This battle system has formed the core gameplay in each game in the series and has played a big role in making it so special. Remaining addictive and balanced, it rewards the player for skillful gameplay by giving players agency to formulate their own battle strategy. This extends to choosing which units to utilize throughout the game, as one player could choose to use a completely different roster of players than another. Each installment retains the same battle system with minor variations added giving the players the same strategic experience. Perhaps the strongest aspect of the Fire Emblem series is its ability to integrate strong characterization into gameplay in an affective and meaningful way. Each game is full of memorable characters who are each given a distinct personality and often must be recruited by fulfilling certain conditions such as talking to them with the right character. Characters also have their own individual stats, enforcing the idea that each are unique and more than just an expendable unit. Character personality is also fleshed out through support conversations, which are little side conversations units can have in battle after fulfilling certain conditions such as fighting in a number of battle together. When this happens, the pair of units form a support bond which can be strengthened and provide state increases when they fight near each other in battle. This has a significant effect on gameplay because it encourages players to become invested in the relationships characters form and influences battle strategy. Each game adds its own variations to support with some installments even allowing characters to get married and have children. These conversations are often entertaining and add a lot of depth to characters which endear them to the player. Permanent death is one of the most notable features of the series, and has been implemented in every iteration with the most recent games allowing players to turn it off. Permanent death has a huge effect on gameplay, forcing players to be more strategic and invested in making sure their characters survive each battle. In addition, it adds a level of tension to each of the battles that would not be present without it. Since each individual unit is unique and is leveled up separately, a loss of a strong unit can be devastating for the player's army. In addition, the strong characterization evokes an emotional investment from the player in trying to keep their favourite characters alive. Characterization is one of the things Fire Emblem gets so right, and it is unique in its ability to make individual characters and their relationships so integral to the gameplay system. Strong characterization would be nothing without a well-written and exciting story to accompany it and this is another aspect the Fire Emblem series as a whole gets so right. Each game follows a similar path with a strong character driven story of political intrigue focusing upon a main character and the journey of their army. The lord's journey usually begins humbly, dealing with smaller local issues, later progressing into the story of a small army of heroes trying to save the world. Each story also deals with themes such as friendship, loyalty, love and betrayal, creating a compelling tale with the characters as the centrepiece. It's refreshing to see a series that consistently tells a mature and complex story that is accessible to people of all ages. The series also features consistently strong character design, with each character beautifully illustrated. The Fire Emblem series also is home to a wonderful selection of music. Each game features a wide variety of pieces which serve to accentuate the gameplay, increasing the tension and adding to the tone of each situation. The music has become better and better as the series has progressed, with Fire Emblem Awakening's music being a particular high point for the series. Of course, the Fire Emblem theme itself is timeless. The Fire Emblem series is a true gem among Nintendo's first party offerings and shouldn't be missed by any gamers. Its addictive combination of strong gameplay emphasizing the strength of its characters create a unique experience that standout among other offerings. Specifically, Fire Emblem: Awakening provides a great introduction to the series tailored towards new players and is a great starting point. This series deserves all the attention it has in the past year and is sure to satisfy all. The Fire Emblem series is published by Nintendo and contains 13 games, 6 of which have been released worldwide. The latest iteration, Fire Emblem Awakening, was released on February 6, 2013 for 3DS and can be purchased at any games retailer or on the Nintendo eShop. 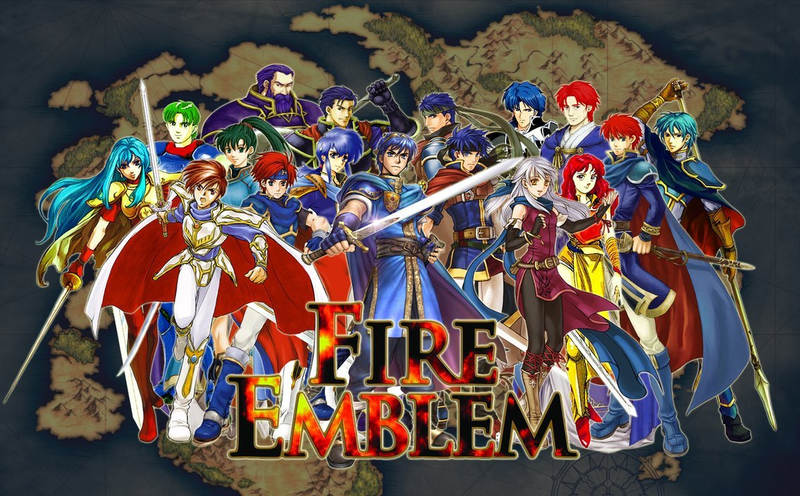 mdubs has been a fan of the Fire Emblem series since 2003, finishing each of the games released worldwide, including finishing Fire Emblem (Rekka No Ken) over 7 times.